Bitter Sweets: Pan Macmillan, 354 pages, 6.99 pounds (Rs550). 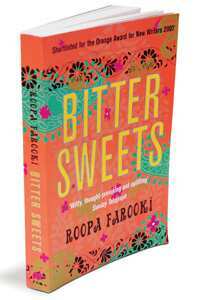 Roopa Farooki’s debut novel Bitter Sweets begins with deceit and ends with the unmasking of the truth. Novels across genres have used this device to sustain a story, to make it gripping; and also to unravel complex emotions and moral dilemmas. Farooki manages the first with a natural storyteller’s flair—up to about 100 pages, Bitter Sweets is a breezy page-turner; the story, spanning two continents, has clever twists. And Farooki comes close to pulling off the second, more difficult task. It is better than many recent books by South Asian writers, now a genre by itself, loosely monikered “chick tikka lit" by British tabloids. Farooki’s voice has sparks of literary flair and intensity, but overall it’s the book’s wit and light-heartedness that stays with the reader. The story begins in Pakistan with 13-year-old Henna escaping from school and formal education and an oppressive father, by agreeing to marry the scion of a wealthy Indian Muslim family. She is coached in basic English manners and passed off as an educated 17-year-old, just the kind of woman, her husband, Rashid (Ricky-Rashid in England, where he is pursuing higher education) has been looking for: “demurely holding her tennis racket and appearing to be engrossed by a volume of English poetry". The truth is revealed to Rashid on their wedding night, which shatters him and his family. He returns to London, but Henna’s charm wins the family over and she becomes the family matriarch. Years later, their daughter, Shona, is born, who inherits her mother’s wiles, but has a serious penchant for academic pursuits. She elopes to London with Parvez, an unemployed Bangladeshi man who serenades her with poems and brash humour. Meanwhile in London, Ricky-Rashid is secretly married to Verity Trueman, a refined English woman and the couple has a daughter, Candida. So far, the only two honest characters in the book are Verity and Candida, named to suit their characters. The story moves a generation forward, to Shona’s twin sons, Omar and Shariff. Deceits thicken as the two generations brush their lies under the carpet and, in the end, the family is drawn to a dramatic climax. Fortunately, Farooki prevents the end from becoming screwball, retaining the non-judgemental, often too cold approach, to the ruthless lies that propel the story. Her message is neither groundbreaking nor does it tell an untold truth about the human condition as the best of literature does: that only through deceptions can you discover who you really are. 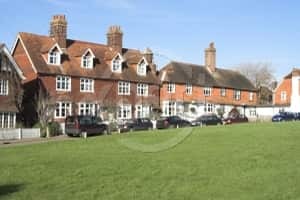 At home: Most of Farooki’s book is set in suburban London. Farooki, 33, was born in Lahore and brought up in the UK, where she was an advertising executive for years before she became a full-time writer. Besides the obvious and far too familiar immigrant dilemmas that Bitter Sweets has plenty of, Farooki’s language has the quick wit of an advertising copywriter. Her achievement, however, is in conjuring up a bunch of delightful characters. Their failings and complexities really hold the narrative together. Henna is a figure of sympathy despite her abominable lies. Rashid is a wannabe; for him everything British is meant to be aspired for. Shona is adorable, wicked and tragic by turns. Verity is not just an English woman besotted by a handsome Asian husband, she has a past that justifies her insecurities. Omar and Shariff are charming misfits. Bitter Sweets was shortlisted for the Orange Broadband Prize 2007, which went to the deserving Chimamanda Ngozi Adichie for Half of a Yellow Sun. But Farooki is a South Asian voice to look forward to; she arrives with a sure-footed and unassuming confidence about telling a story, and characters one is likely to remember for a long time to come.